RICHMOND, BC (PGA of British Columbia) – The PGA of BC is pleased to announce a new partnership with Empowered Life, a Lower Mainland-based natural health and wellness company. 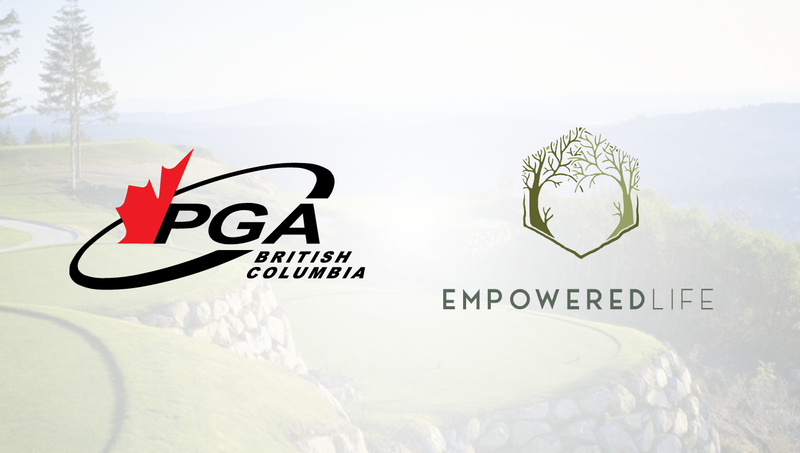 Empowered Life will be the presenting sponsor of the PGA of BC’s Davie Black Professional Development Award while supporting the Association as a Bronze-level Preferred Partner through the end of the 2020 season. Founded by Brooke and Jared Scott in 2016, Empowered Life specializes in Certified Pure Therapeutic Grade essential oils, supplements, and natural products from dōTERRA, which are distilled from the natural aromatic compounds found in plants and aid personal wellness. Essential oils are known to effectively support the body with digestion, stress, fatigue, detoxification, energy, and more. Empowered Life can provide Golf Professionals and their patrons with a number of products to help achieve their top level of performance. Many elite athletes turn to dōTERRA essential oils for pain management and to realize positive gains in energy and recovery, including NFL players, Olympic-level competitors and action-sport athletes. “Golf Professionals and their students are always looking for an edge to unlock their full potential and achieve their goals,” said PGA of BC Business Development Manager Grant Gray. “Taking advantage of Empowered Life’s wellness expertise is a key step on the path to realizing one’s top level of performance. To see how to effectively introduce essential oils into your wellness regimen, all PGA of BC members are encouraged to book a consultation with Empowered Life by filling out the contact form at www.empoweredlife.ca. Based in Maple Ridge, Empowered Life was founded on the principle of helping individuals and their families reclaim their health through the use of essential oils. Husband-and-wife co-owners Jared and Brooke Scott take pride in empowering people to take charge in all facets of their wellness journey, and believe each person owes it to themselves to support their health in a cleaner, more natural way. Learn more at www.empoweredlife.ca.